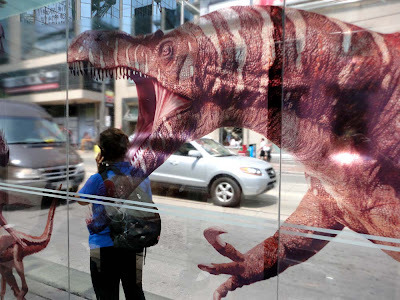 Massive dinosaurs pace around the #Toronto streetcar stop at the Yonge and Dundas intersection, jaws open and sharp teeth looking like they could bite someone in half. 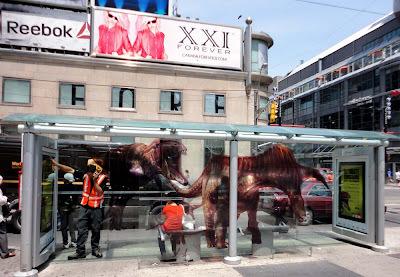 The large prehistoric reptiles are part of an advertising campaign for the "Ultimate Dinosaurs - Giants from Gondwana" exhibition at the Royal Ontario Museum. 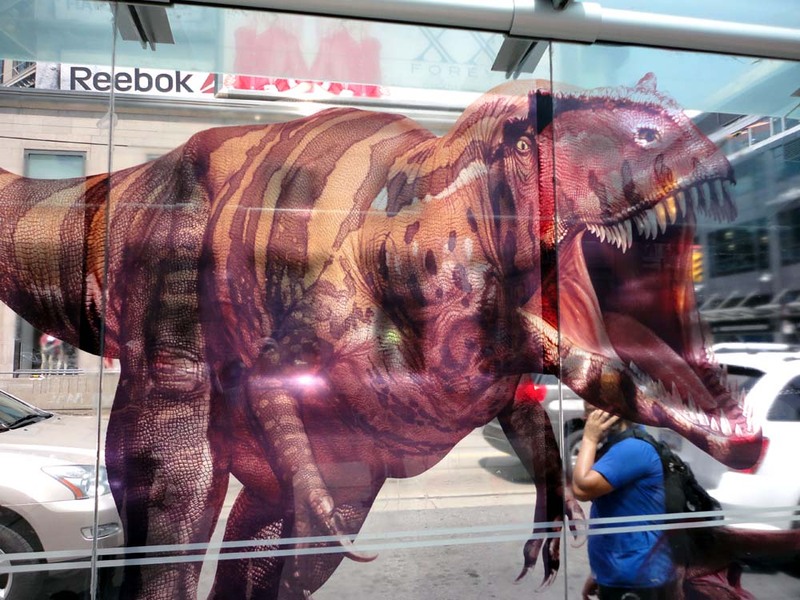 The dinosaurs look pretty realistic, it's like being inside a rather large HD 3D television. 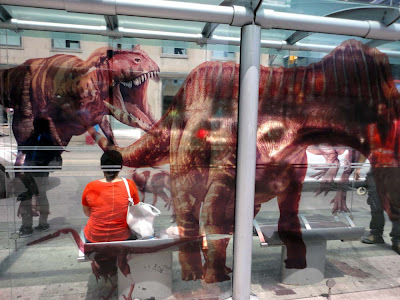 Thankfully the dinos didn't have bus tokens. 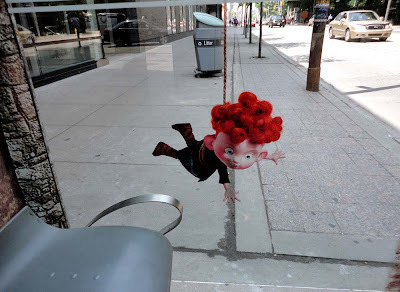 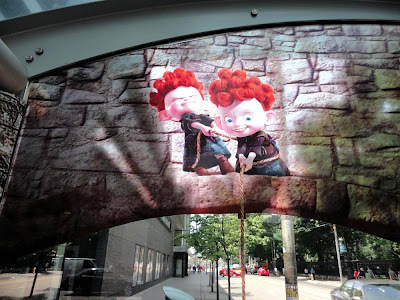 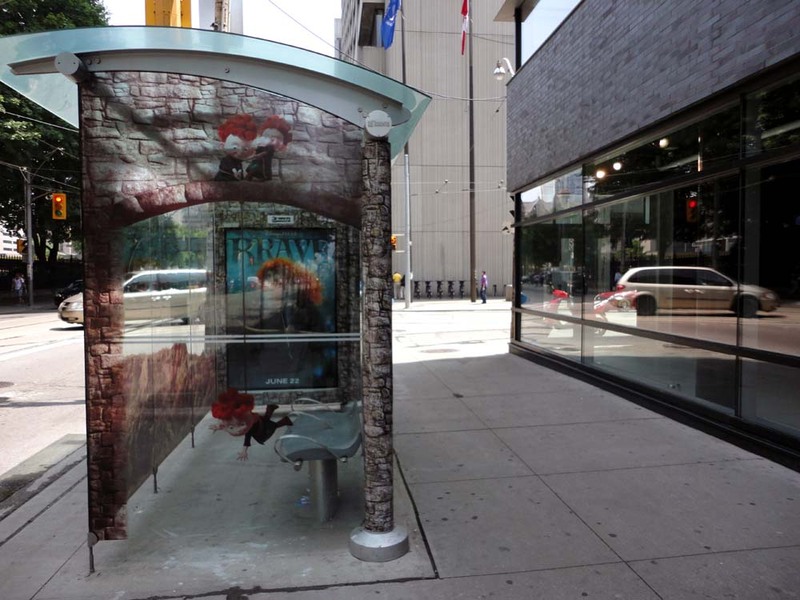 A movie advertisement for "Brave" was on a Queen Street West streetcar stop. See more of the advertisements after the jump.